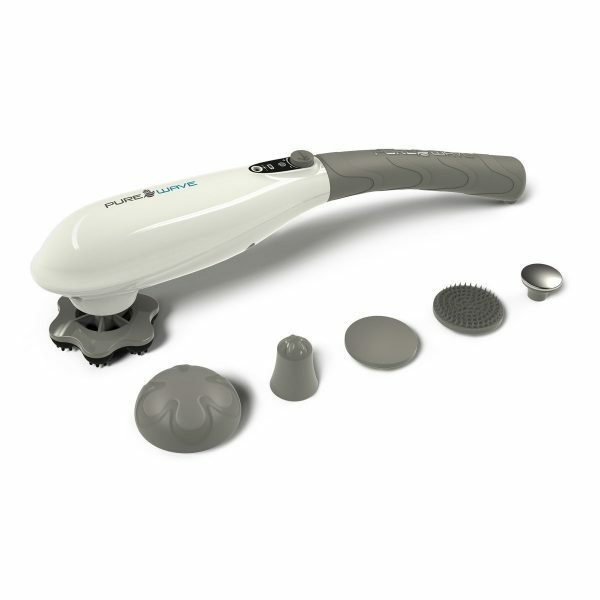 Powerful cordless percussion massager up to 3,700 RPM. 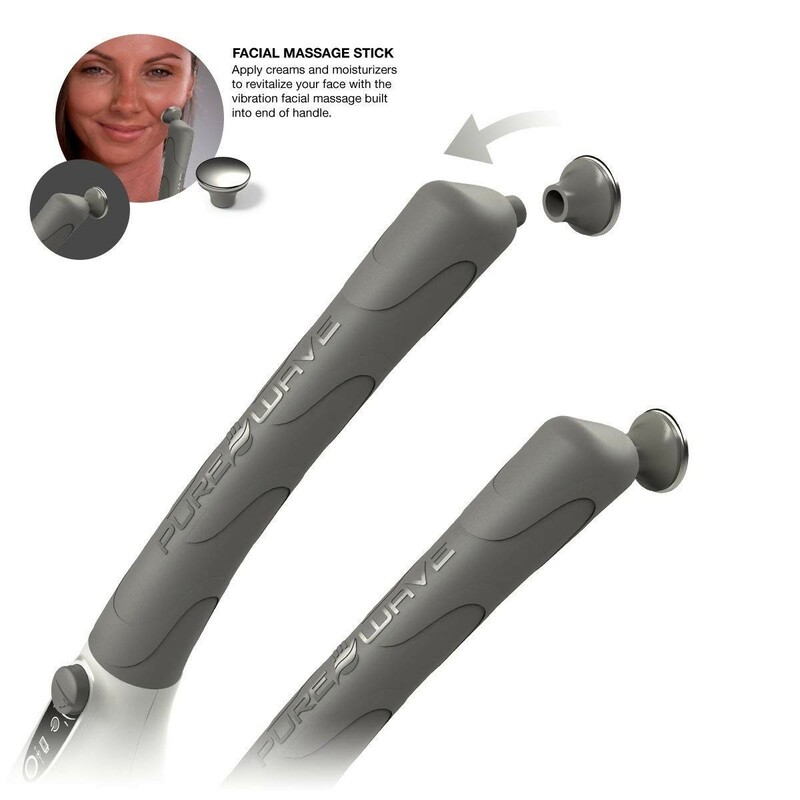 Facial micro-vibration motor on handle side operating up to 10,000 RPM. 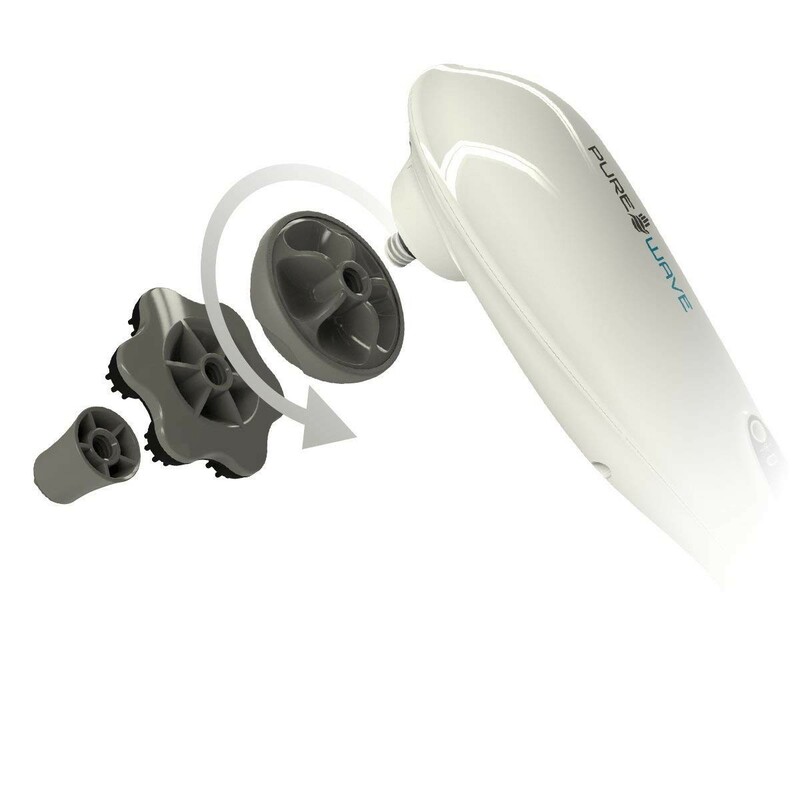 Variable speed dial to adjust intensity of percussion or vibration. 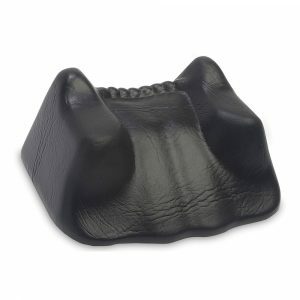 Repetitive acute percussion therapy relieves muscle tension, knots, spasms, aches and pains. Release trigger points, increase blood flow, gain greater range of motion. 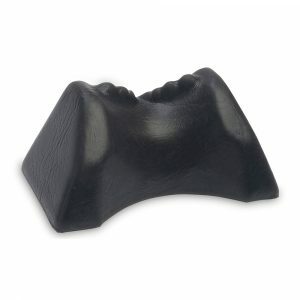 Great for use on areas such as neck, back, legs and feet. Five uniquely designed percussion attachments. Plus bonus facial attachment. 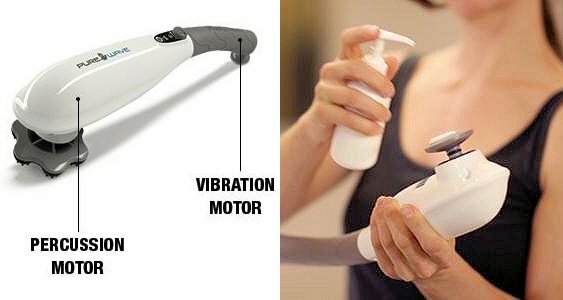 From Head To Toe, This Is A Percussion Massager That Gives You A Virtual Massage Spa In Your Hands. 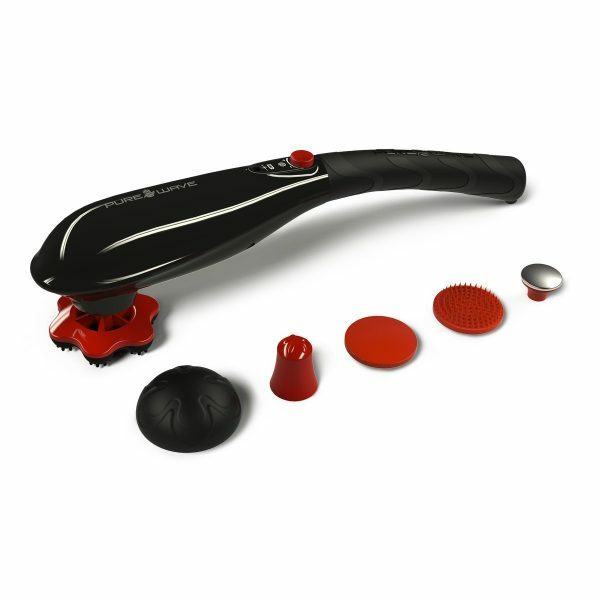 Relieve pain and stress at home with a powerful and versatile percussion massager that is cordless for ease of use. 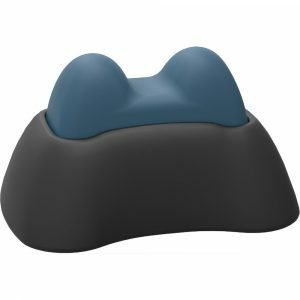 It uses variable speed control, which permits fine adjustment of intensity, while six types of massage heads allows the selection that matches the area of massage. The percussion massager allows you to treat areas of stiff muscles, aching joints, knots, trigger points and, with a built in reverse vibration option, you can even massage your face, scalp and apply topical lotions in those hard to reach areas. 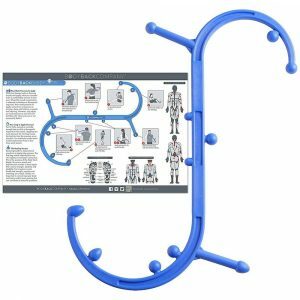 The ergonomic design adds to the ease of use and helps to provide effective muscle therapy anywhere. 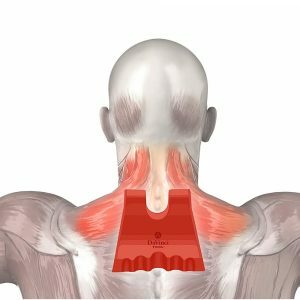 The percussion deeply penetrates muscles for pain relief and healing. In addition to the cordless design, it’s compact feature and light weight allows it to fit into a suitcase or backpack for traveling. Although lightweight and compact, it provides all the power you need to treat larger muscle groups. 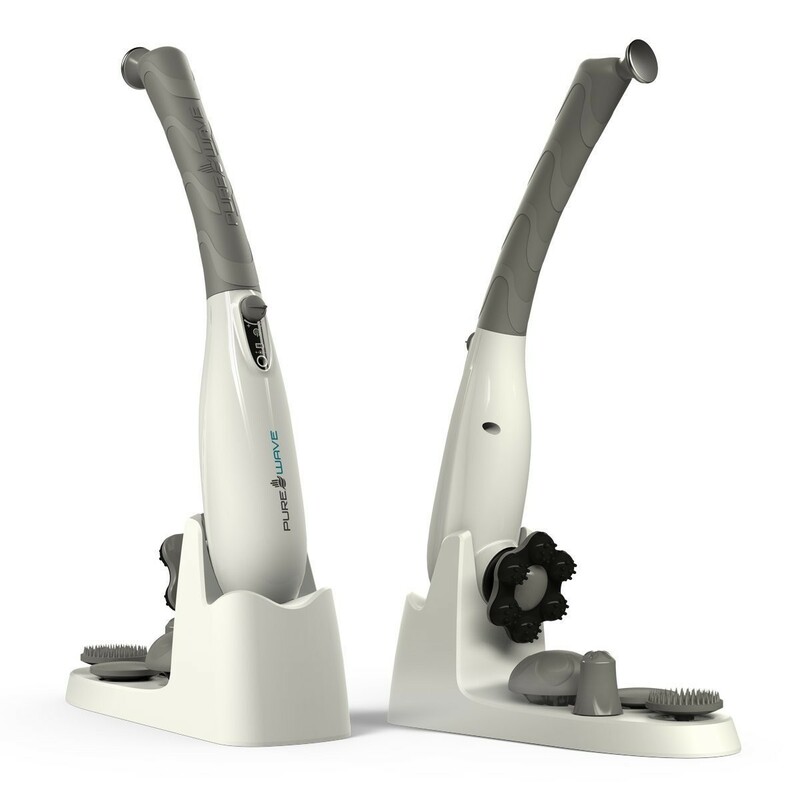 It is really 2 massagers in one unit; a best in class 3,700 RPM percussion as well as microvibration massage at up to 10,000 RPM, which is great for smaller areas like the face, jaw pain and headaches. It comes with 7.2v Lithium Ion batteries and a charger and it takes about an hour to charge, lasting over 2 hours of continuous use. It weighs under 2 pounds and measures approximately 16.5 x 2.75 x 4 inches. This is a great method to use for breaking up soft tissue adhesions and muscle knots. It can help increase blood flow, speeding recovery and easing painful inflammation in tendons and joints. 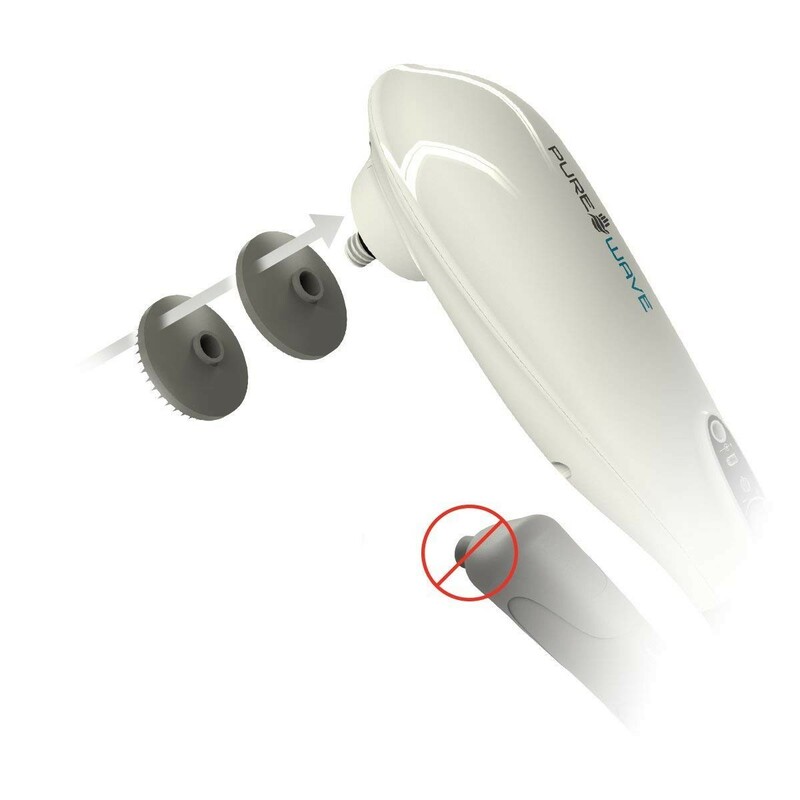 Use the vibration option and you can directly treat the temples and jaw. You should go easy at first to see how you respond. 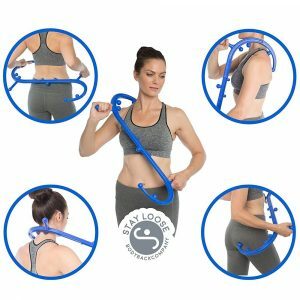 If you bruise easily or are very sensitive to deep massage, you may want to consider another massager or go slow and easy, because this massager delivers a powerful massage. Percussion is often more aggressive than standard therapeutic massage and works at loosening muscle tissue. With different head options and variable speed control, you should be able to find the right head and setting for you.